[133 Pages Report] Thermoplastic Polyurethane (TPU) Market is projected to reach USD 2.48 Billion by 2021, at a CAGR of 6.8% from 2016 to 2021, in terms of value. The base year considered for this study is 2015 and the forecast period is between 2016 and 2021. The thermoplastic polyurethane (TPU) market is driven by increasing usage of fluoropolymers and aromatic ketone polymers across varied end-use industries due to superior thermal conductivity offered by them. The report studies the thermoplastic polyurethane (TPU) market in the Middle East & Africa, North American, European, Asia-Pacific, and South American regions. Note1: Micromarkets are the subsegments of the thermoplastic polyurethane (TPU) market included in the report. Both, top-down and bottom-up approaches have been used to estimate and validate the size of the thermoplastic polyurethane (TPU) market and to estimate sizes of various other dependent submarkets. The research study involved use of extensive secondary sources, directories, and databases such as Hoovers, Bloomberg, Chemical Weekly, Factiva, Commonwealth Scientific and Industrial Research Organization (CSIRO), Securities and Exchange Commission (SEC), the American National Standards Institute (ANSI), Organization for Economic Co-operation and Development (OECD), and other government and private websites to identify and collect information useful for this technical, market-oriented, and commercial study on the thermoplastic polyurethane (TPU) market. “This study answers several questions for the stakeholders, primarily which market segments to focus on, in the next two to five years for prioritizing the efforts and investments”. This research report categorizes the thermoplastic polyurethane (TPU) market on the basis of type, end-use industry, and region. Country-level analysis of the thermoplastic polyurethane (TPU) market by end-use industry. Different types of thermoplastic polyurethane, such as polyester, polyether, and polycaprolactone are also included in the report. The polyester type segment led the thermoplastic polyurethane (TPU) market in 2016 due to suitability of polyster in a number of applications in various end-use industries, such as automotive, engineering, and building & construction, among others. The polycaprolactone type segment of the thermoplastic polyurethane (TPU) market is projected to grow at the highest CAGR during the forecast period, owing to increasing use of polycaprolactone in various applications. Among end-use industries, the footwear segment led the thermoplastic polyurethane (TPU) market, in terms of volume, in 2016. It was followed by the engineering and wires & cables segments. The medical end-use industry segment of the thermoplastic polyurethane (TPU) market is projected to grow at the highest CAGR between 2016 and 2021. The thermoplastic polyurethane (TPU) market has been studied for the Middle East & Africa, South America, North America, Europe, and Asia-Pacific regions. The Asia-Pacific region is projected to lead the thermoplastic polyurethane (TPU) market, in terms of volume and value during the forecast period. The Asia-Pacific thermoplastic polyurethane (TPU) market is projected to grow at the highest CAGR during the forecast period, owing to increased demand for thermoplastic polyurethane (TPU) from the footwear and engineering industries. The European region is the second-largest consumer of thermoplastic polyurethane, globally. The growth of the market in this region is mainly driven by the growth of the footwear, engineering, and automotive end-use industries. Fluctuating prices of raw materials, shifting of end-use markets from developed countries to emerging economies, and increasing cost of production of thermoplastic polyurethane are the factors expected to hinder the growth of the thermoplastic polyurethane (TPU) market, globally. The thermoplastic polyurethane (TPU) market is diversified and competitive with a large number of global, regional, and local players operating in it. 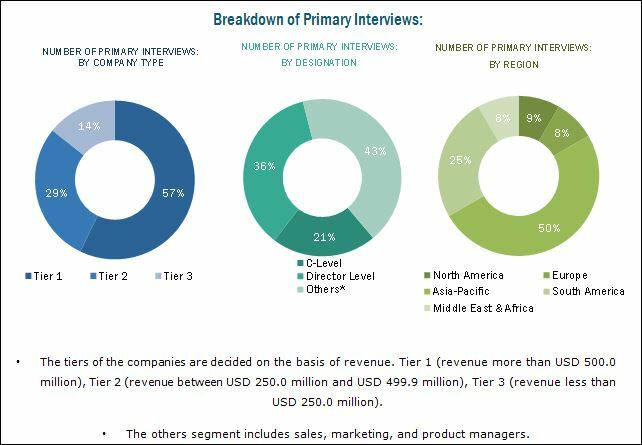 The key players in this market are BASF Polyurethanes (Germany), The Lubrizol Corporation (U.S.), Covestro AG (Germany), Huntsman Corporation (U.S.), and Wanhua Chemical Group Co., Ltd. (China), among others. These companies are expected to account for significant shares in the thermoplastic polyurethane (TPU) market in the near future. 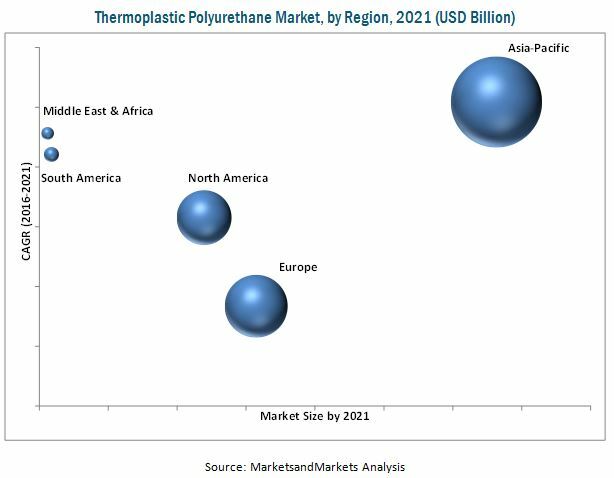 Entering into related industries and targeting new markets will enable the manufacturers of thermoplastic polyurethane to overcome the effects of volatile economy, leading to diversified business portfolio and increase in their revenues. Other major manufacturers of thermoplastic polyurethane are American Polyfilm Inc. (U.S.), Hexpol AB (Sweden), Kuraray Co., Ltd. (Japan), PolyOne Corporation (U.S.), and API Plastics (Italy).